Are you interested in building a movement or organization but you're not sure how to do it? Do you have a community you want to bring together around a common issue, but you're not sure how to mobilize? Do you have an idea that will appeal to a lot of people, but you don't know how to find them or keep them interested? Then the Rising Organizers fellowship program might be exactly what you need to turn your concept into a powerful political project. Rising Organizers’ free fellowship program will bring together 10-15 beginner organizers from the DC/MD/VA area for an 8-session program, which meets every two weeks over a 16-week period. 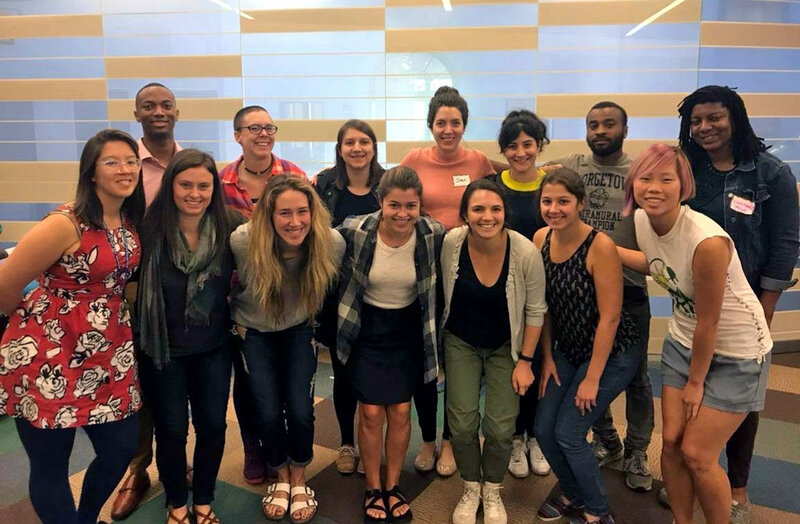 The fellowship is designed to allow new organizers to develop skills and strategies that will allow them to design their own organizing projects. This fellowship is open to all, and is particularly intended for those who have little to no organizing experience. If you do have organizing experience, please do apply, and note your experience in your application. Rising Organizers does not discriminate on the basis of race, ethnicity, national origin, religion, gender, gender identity, sexual orientation, disability, age, marital status, or status with regard to public assistance. People of color, members of the LGBT community, people with disabilities, and members of other underrepresented communities are strongly encouraged to apply. It is expected that fellows will prioritize attendance at every session. They will be held primarily on weekends, with occasional meetings after work hours.